Breast uplifts, or mastopexies, involve reshaping the whole breast mound and tighten the surrounding skin to give a naturally youthful, lifted appearance without reducing the breast volume. During your initial consultation we will talk through exactly what you are looking to achieve, the level of uplift you are seeking and the scars you consider acceptable to achieve this. Any desired changes in shape will also be discussed. The typical patients that are likely to get good results are those who have had children and would like their breasts to look more like the way they used to. Many people have never been happy with their appearance though and also do very well with an uplift, which can greatly increase your body confidence. Most people are looking for enhancements that flatter their physique, provide them with a better silhouette and increase their body confidence. There are a whole variety of techniques depending on your shape, what you are looking for and the scars involved. Most people looking for large lifts do best with procedures that involve a scar around the areola, a vertical scar from the areola down to the crease below the breast and a further scar within the crease. Most of the scars are therefore hidden fairly well and settle with time. Some people who just want one or both breasts lifted a little do very well with only a scar around the areola or this one and a short vertical scar below this. Most patients feel up to going home the same day and prefer this to staying in hospital overnight, but you have the option of staying overnight if you live alone, live far away or would just rather stay overnight. I don’t use surgical drains in my patients. You can get in the shower to wash as soon as you like but should avoid soaking your scars in water for prolonged periods during the first 2 weeks such as deep baths or swimming. Most of the swelling and discomfort usually settles within 3-4 weeks, though it can take a few months to settle completely. The scars usually improve considerably over the first 3 months, but will take a year to settle completely. We will arrange a wound check one week after your procedure and follow up in the clinic at 6 weeks, 3 months and 6 months. Breast uplifts are challenging procedures, but done well yield excellent results and very happy patients. We recognise that the decision to undergo cosmetic surgery can be daunting. We also recognise that there is a lot of information, and misinformation, on the internet – often tainted by commercial bias, trying to persuade you to make a snap decision to jump in to surgery. In our clinic, we take a different approach. Our staff understand the thought process and emotional challenges you face when contemplating cosmetic surgery and want to help you by providing accurate, unbiased information to guide you through your decision making process. Should you chose to have breast surgery with our clinic, you can be guaranteed that your procedure will be carried out not only by a consultant plastic surgeon, but a plastic surgeon who’s NHS practice is dedicated to breast surgery and breast reconstruction. That’s right. Breast surgery is what he does all day, every day. 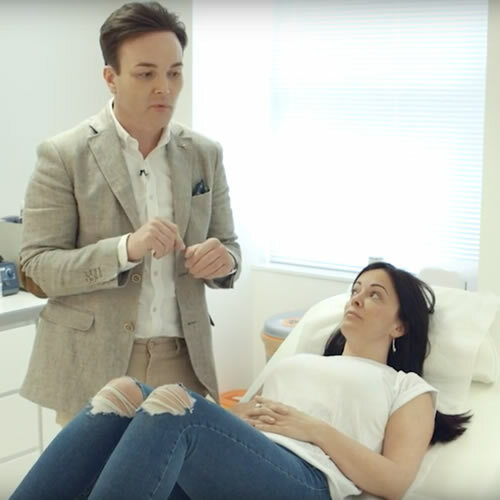 We believe that by having super specialists carry out each procedure in our clinic, we can achieve the best possible results in the safest possible way, giving you the best possible chance of a successful outcome.